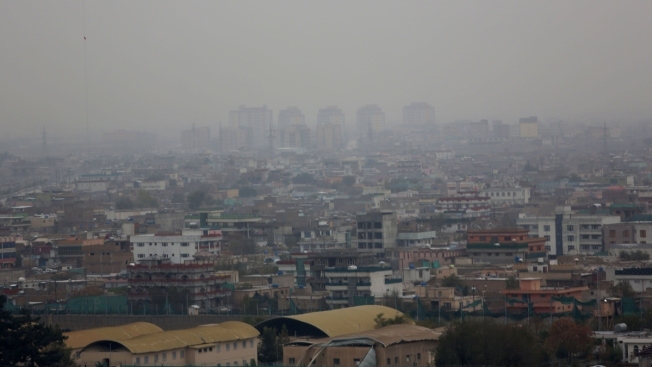 A special inspector general described the figure as "likely … only a portion of the total waste, fraud, abuse and failed efforts"
This Monday, Nov. 9, 2015, file photo, shows a general view of Kabul during a rainy day in Kabul, Afghanistan. The watchdog charged with tracking government spending in Afghanistan says the United States has wasted $15.5 billion there over 11 years, NBC News reported. The figure is its first estimate of the total amount of money wasted there, but they say that figure is likely "only a portion." In response to a request from three congressman in 2017, the Special Inspector General for Afghanistan Reconstruction (SIGAR) began tallying the waste and fraud in the U.S. effort to rebuild the country. After 10 months of research, SIGAR sent a letter back to the congressmen that estimated the waste at $15.5 billion between SIGAR's inception in 2008 and Dec. 31, 2017, or 29 percent of the spending it audited. In the letter, obtained by NBC, Special Inspector General John Sopko described the figure as "likely … only a portion of the total waste, fraud, abuse and failed efforts."